Soda and Snack Vending Machine Route For Sale in the New Port Richey, Hudson, Pasco County, Florida area! Currently grossing $57,000 and nets $30,000 per year! Great supplemental income and part-time route, work 1 day per week! Also includes professional snack and soda machines. 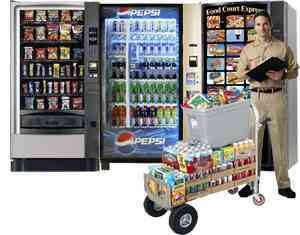 The vending business offers unlimited growth potential! Currently this route grosses $57,000 in yearly sales, and nets $30,000 per year. Income documentation will be provided to all serious buyers. As an independent operator you are make money by purchasing product at wholesale cost and selling it to your customer base via the vending machines. This route currently receives an average profit margin of 50%. Expenses include, but are not limited to: product cost, machine repairs, gas, vehicle expenses, warehouse storage, insurance for your vehicle, and we recommend liability insurance for your business. The above cash flow represents the profit after an estimated $27,000 in operating cost and expenses are subtracted. The gross income for the route is $57,000 per year, minus your above mentioned operating expenses of $27,000, gives you $30,000 in net income or cash flow. To determine a business’s price, a standard formula is to multiply 2 years of the net plus consideration of business assets. Based on $30k in net sales and considering the equipment estimated value of $20,000, this business is under priced! Yes and No. The current owner owns all of his equipment. However going forward a lease agreement can be setup through Coke and Pepsi for the use of their machines. Coke and Pepsi deliver and maintain the machines at no cost. The lease agreement requires that you purchase product from them. Additional snack machines must be purchased, and can be obtained through a wholesaler the current owner purchases from. The machines are Royal, Dixie Narco, Vendo, and USI. Currently there are 16 accounts and 18 machines with the majority of the accounts located in New Port Richey and Hudson. Additionally there are 2 accounts in Tampa, and 4 in Clearwater. A few contracts are in place, but the majority of the business is operated without customer contracts. From experience the owner has found that developing positive customer relationships is better than contracts. The current owner has owned this business for 5 years and has accurate tax records. Owner works 1 day per week 10 hours. Hours and days are flexible and can be customized to each individuals needs. Be Your Own Boss with flexible hours! Unlimited growth opportunity! 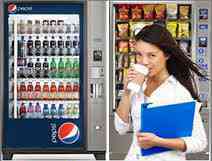 The vending machine business is a 100% cash-only business that offers a residual income! The long cherished notion of getting a job that would provide both long term security and benefits is close to disappearing in the American workplace. It is no surprise that more people today want to do “their own thing”. Vending is one of the final frontiers. Hurry this won’t last long! Great supplemental income and very part-time! Priced to sell at $42,900 (only a 1.5 year ROI)! Contact Us About This Route Here!